Posted January 29, 2019 by laurielmorrison & filed under Saint Ivy, The Writing Process. And here’s some backstory about the process of refining the idea for this book (over and over again). Back in August of 2017, I wrote this post about how I’d tried to use a craft book called Story Genius to help me start a new middle grade novel, but it didn’t quite click. (And this is no knock on Story Genius, which works for many people and might work for me on a different project or if I took a lot more time with the exercises.) The dynamics I came up with for this story were interesting in theory, but the writing was coming out forced, I wasn’t excited about the story events I’d figured out, and I couldn’t hear my character’s voice. So I set that book aside for a while, but before I did, I wrote a single page with a voice that felt right. That one page had a vulnerability and earnestness that the other scenes I’d tried out were lacking. So I finally had a sense of the voice, and I had the basic premise of this girl, Ivy, who wants to be a good person and thinks she will react in a selfless, kind way when her mom becomes pregnant as a surrogate but is shaken by her complicated emotions. But I didn’t know what to do about the plot. 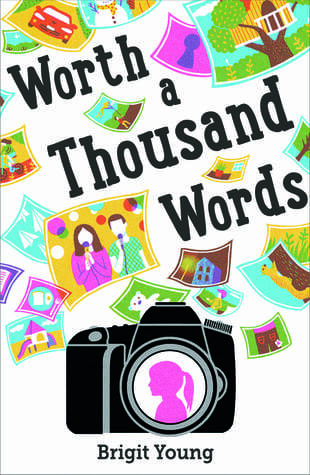 So I focused on a couple of other projects for a while, until I read an ARC of Brigit Young’s wonderful debut novel, Worth a Thousand Words. Brigit’s book, which came out last summer, is an emotional, character-driven contemporary middle grade novel that has a mystery about a boy’s missing father at the heart of its plot. It’s not really the kind of who-dunnit story that comes to mind when I think about mysteries; it’s a mystery that hinges on relationships between complex characters. I loved the book and simply could not put it down. And I was reminded of a couple of YA novels I also hadn’t been able to put down because of a similar kind of mystery (though with a romantic bent): Simon vs. the Homo Sapiens Agenda by Becky Albertalli and Tell Me Three Things by Julie Buxbaum. I started thinking about how much fun it could be to try to write a book with that kind of character-driven mystery, and then it occurred to me that I could try incorporating something like that in this plotless project I’d set aside. And pretty soon an idea came to me: what if Ivy, who was doubting whether she was as kind and selfless as she wanted to be, threw herself into trying to help someone who needed her…but, for some reason, she didn’t actually know who that person was and the reader didn’t know either? What if mysterious, anonymous emails were the engine driving this story forward, kind of like in the two YA books I’d loved, but in a much less romantic and more middle grade way? 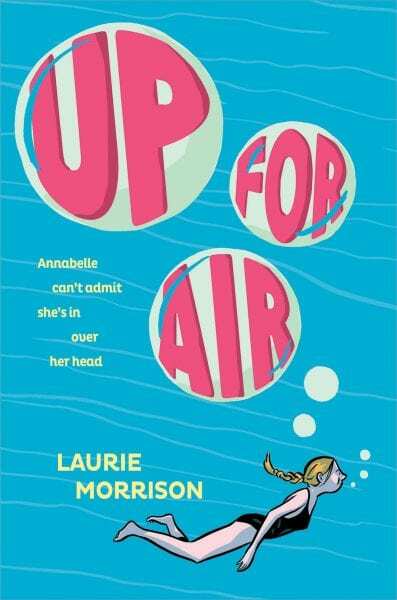 So, armed with this new concept, I started working on Ivy’s story again here and there until I had to turn my attention to edits for Up for Air (which comes out May 7th and *cough, cough* is available for preorder!). I’d been having fun with it and feeling pretty good about it, but when I went back to it after some distance, I realized the family dynamics weren’t quite working and I might not be accessing the emotional heart of things in a deep enough way. Ugh. After everything, I still couldn’t tell if it was a viable project or not. Then in April, I turned back to this post by E. Lockhart, about using an emotion to spark a novel. This is an essay that’s been immensely inspiring to me in the past. I wasn’t actually thinking about Ivy’s story when I looked at it, but reading it again for a completely different reason helped me realize something important about the key emotion and key relationship between Ivy and her mom. And one night a few weeks later when I was up with my toddler and again not actively thinking about the book, it occurred to me that the family dynamics would make more sense and be more interesting if Ivy’s parents were amicably divorced and her dad was in a new relationship. If her parents were together, Ivy and her dad were both trying to be kind and selfless and playing too much of the same role, and the story had to be hers, not his. So I finally had all the pieces I needed to rewrite the beginning of the book for a third time. Over the next few months, I wrote a synopsis and a little more than 50 new pages, revised them a few times in response to some feedback from my agent and my smart writing friends, and ultimately got everything in good enough shape to submit to my editor (just a few days before having a baby, in fact). Luckily, she loved Ivy too, so now we’ll get to work on this story together. Whew! Quite an evolution already for a book that isn’t even fully written yet, huh? What strikes me about all this is how much this idea has had to sit and marinate. I always want to keep working to feel like I’m making progress. But I’m glad I kept putting this story idea aside until I had more of the elements I needed. I find it both magical and terrifying that I really couldn’t force any of these realizations; I was open to them, yes, but they caught me by surprise. I couldn’t will these epiphanies into happening just by planting myself in my chair in front of my computer and making myself keep going. I find it so tricky as a writer to know when to be disciplined and push through…and when that won’t actually get me where I want to go. But now, pretty soon, I’ll throw myself into that push-through-the-draft-even-when-it’s-hard phase of writing this book, knowing (finally) that I believe in the essence of the story and will be able to revise and polish to my heart’s content—and with the help of a very smart editor!—when the time comes. I’m looking forward to writing the rest of Ivy’s story and am excited for others to meet her in a couple of years! I hope you enjoyed this glimpse into the evolution of this novel up to this point. Who knows what else I’m in for as I continue. As someone who is playing with writing myself, I SOOOO appreciate that it can’t be forced. I love that you pretty much had to wait and see where it went, and go from that organic part of your brain instead of forcing it. This is a wonderful description of how good writing occurs~ over time, with so much thought (conscious & un-!). Thank you! Kristin! I’m so glad you enjoyed reading the post and excited to hear that you’re doing some writing yourself! I’d love to hear more sometime! Laurie, I enjoyed this look into your process for St. Ivy. I love that it is a mystery! It’s interesting how a craft book can only take you so far. I also used Story Genius up to a point for the novel I’m working on, but stepped away from it after awhile. Thank you, Linda! And that’s a good point about craft books. I know a few people have turned to Story Genius after having a full draft, and I know the idea behind the book is to spare you drafts that don’t go anywhere…but I could actually see it working better for me as a revision tool than a just-starting-out one. I think part of the trick is to use whatever’s useful at whatever point it’s useful and let the rest go. Good luck with the novel you’re working on! I needed to read this, right now! Thank you!! I’m so glad it resonated, Nancy. And congrats again on your book deal! I’m so excited for you.